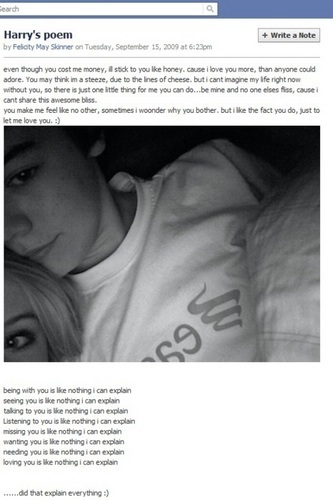 Harry's Poem That He Wrote His Then Girlfriend Felicity (Aww Bless Him) 100% Real ♥ . . Wallpaper and background images in the Harry Styles club tagged: harry styles felicity.